The long-awaited sequel to the bestselling book Corporate Chanakya is finally here. 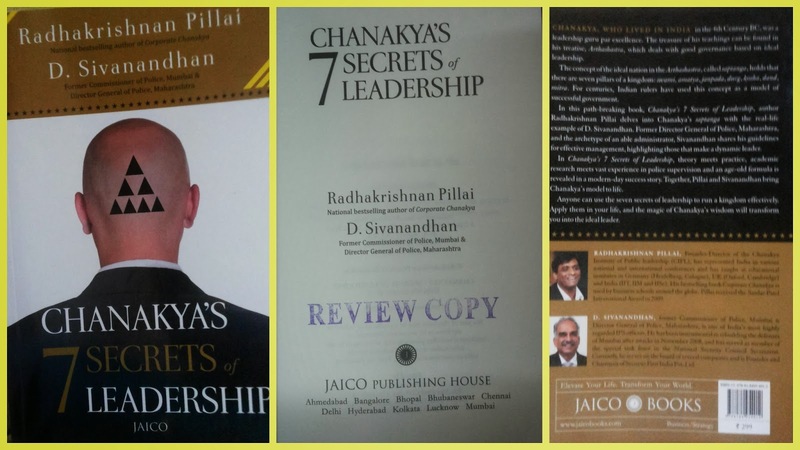 Co-authored by leadership guru Radhakrishnan Pillai and former Director General of Police (Maharashtra) D. Sivanandhan, Chanakya’s 7 Secrets of Leadership puts forth a model for leadership drawn from the teachings of Chanakya and Sivanadhan’s own decades-long experience in the police force. Chanakya, who lived in the 4th Century BC, was prime minister and guru to one of India’s most powerful and successful emperors. His political treatise, the Arthashastra, is often likened to Machiavelli’s The Prince and deals with the principles of governance in all its myriad forms. The ideal nation in the Arthashastra rests on seven pillars (the Saptanga): the lord, the minister, the citizens, the fortified city, the treasury, the army and the ally. In this path-breaking book, Chanakya's 7 Secrets of Leadership, author Radhakrishnan Pillai reveals the Saptanga as a model of leadership for all individuals and organizations. The archetype of an able administrator, co-author D. Sivanandhan illustrates this model with case studies from his own stellar career. Anyone can use the seven secrets of leadership to run their ‘kingdom’ effectively. In Chanakya's 7 Secrets of Leadership, leadership concepts meet application and an age-old formula is revealed in modern-day success stories. Radhakrishnan Pillai founder-director of the Chanakya Institute of Public leadership (CIPL), has represented India in various national and international conferences and has taught at educational institutes in Germany (Heidelberg, Cologne), UK (Oxford, Cambridge) and India (IIT, IIM and IISc). His best-selling book Corporate Chanakya is used by business schools around the globe. Pillai received the Sardar Patel International Award in 2009. D. Sivanandhan former Director General of Police, Maharashtra, is one of India’s most highly regarded IPS officers. He has been instrumental in rebuilding the defenses of Mumbai after attacks in November 2008 and has served as member of the special task force in the National Security Council Secretariat. The cover-page looks different and unique. It looks corporate! I wish that the book blurb was shorter. Having said that, the book oozes with positivity and there is a simplicity in writing. All the references are highly motivating. Life of D Sivanandhan is indeed inspiring. I also liked the way the author has blended Indian mythology into the topic of discussion. I enjoyed the references to Mahabraratha. Each section is divided into sub-sections and the authors have given attention to details. They have worked really hard to maintain the pattern and I appreciate the efforts that is put in there. The editing department have done a good job. The book has only 225 pages and yet carries wise words. Because the book is so small, there will not be any room for boredom! The book could have given simple to-do list to cultivate these attributes. For some people leadership abilities comes naturally. But, for most of us, it has to be sowed and then reaped! I will not say that this book will change you into a successful leader overnight. But, it definitely will make you wiser. Jaico Publications for giving away this book for review.